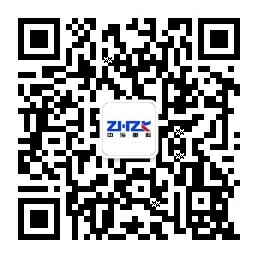 Co name: Jiaozuo Zhonghai Heavy Industry Machinery Co., Ltd.
Henan Jiaozuo Zhonghai Heavy Industry Machinery Co., Ltd. carries out the third "celebration National Day" autumn sports meeting. In order to strengthen the construction of spiritual civilization and enterprise culture, enrich the physical and cultural life of the staff and workers, enhance the physical fitness of the staff and workers, and improve the cohesiveness and centripetal force of the staff of the company. In this autumn season full of harvest, September 30, 2013, Henan Jiaozuo Zhonghai Heavy Industry Machinery Co., Ltd. the third "celebration National Day" autumn sports meeting in full swing. At the same time, the sports meeting was the opening of the opening speech. All the staff were dressed in work clothes, standing in neat ranks, listening to the impassioned opening words of the leadership, encouraging the contestants to work hard at the sports meeting, and to see the neat queues and movements that revealed that our team was full of sports. Confidence and expectation. After the short and vivid opening ceremony, we ushered in the first event of the sports meet: the 200 meter dash. At the starting line, the players lined up; the bent body contained explosive power; the firm eyes were full of self-confidence. The sound of a whistle concealed the sound of cheer, and the players rushed off towards the front. "Come on!" "Come on!" This is the blessings of the contestants of the spectator team. In this not long journey, left the sound of your sprint, the applause will ring for you, "refueling" the athletes in China, flowers and applause will eventually belong to you! After the tense and exciting sprint, the match between table tennis and badminton was ushered in. In these two competitions, there is no difference between the players and no gender differences. The boys did not have carelessness, only delicate skills; the girls did not have the reserved shyness, only left the bold and unyielding struggle. See the game with the ball between the two players leaping between the players, competitors you come to me, different from each other; the spectators are nervous, will be cheered for a good ball, also for a fault. After a competition, the match is divided into victory and defeat. At this moment, the players have no successes and losers. Some of them only have the respect and friendship between their colleagues. "One or two, three..." The slogan was not to be seen, knowing that it was the game of the tug of war. Both teams were red in their ears, and their hands were flushed out, but they clutched the rope tightly, trying to pull the red knot symbolizing victory to his side. Contestants compete with slogans and teeth. Red knot seems to be spiritually normal, unwilling to hurt any one's heart, and only swings around the middle line. Spectators do not have division at the moment, and the sound of "refueling" continues to cheer for members who they know or do not know. The neat slogans of the contestants, their hard work and the cheer of the audience made a harmonious and lively picture. The last thing is the "50 meters and six people seven feet", "30 meters tortoise slow relay", "50 meters and six shoulders" fun game. Although sometimes the players' feet are tied together, but they do not affect the pace of their progress, everyone is working hard to cooperate, this moment everyone realizes that as long as shoulder to shoulder, shoulder to shoulder, Hand in hand, the goal is consistent and moving forward, nothing can stop them from moving forward. In this sports meeting, there are a lot of units and groups of unity. Maybe they are not familiar with them before, but they may not know at all. But through sports meeting and knowing each other, I believe that in the future work life, I will be more friendly. Sports meet is a kind of activity that promotes the feelings between colleagues and partners. It makes our company more harmonious. The success of the Games is inseparable from the support and encouragement of the leaders, and it is inseparable from the hard work of all the staff. The propaganda work and the reasonable operation of the personnel organization ensured the smooth progress of the sports meeting. I believe that under the careful leadership of the leadership, under the sincere cooperation of all the staff, we always carry out the "essence, the gas and the God" of the sports meeting, and the Henan Jiaozuo Zhonghai Heavy Industry Machinery Co., Ltd. will be the brightest star in the Central Plains area. Please enter the message content here, we will contact you as soon as possible.